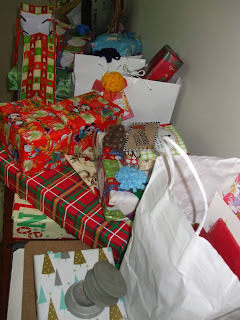 day 193 and i DESPERATELY need to do some gift wrapping ... desperately! 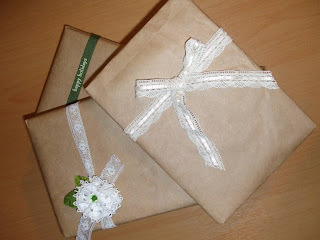 so off to pinterest i went in search of ideas to make my presents look pretty :) these gift wrapping ideas from design aglow were so gorgeous i pinned them to my gift wrapping and gift ideas board, found the brown paper and my ribbon box then set to work. I am a fan of brown paper too but did not use it this year. I like the white lacey ribbons with it. 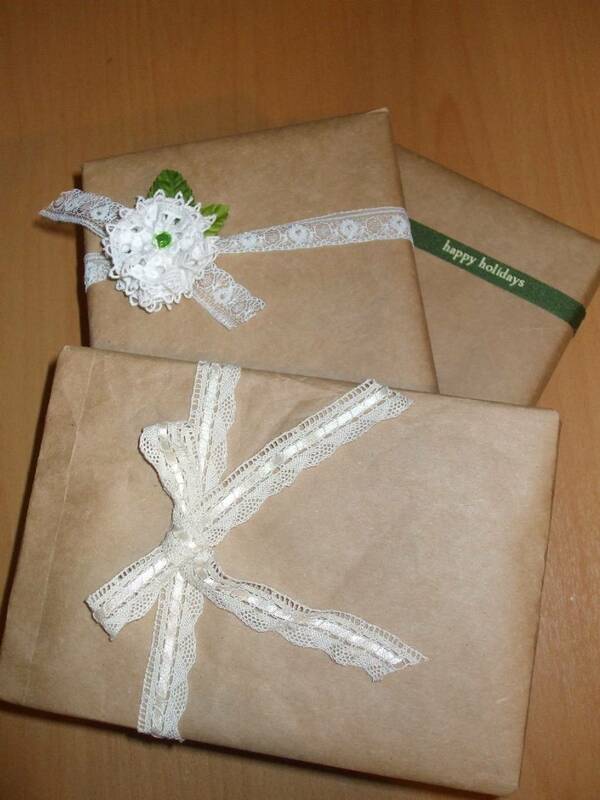 Several years ago, I used brown paper with red ribbon, the decorations were just small sprigs of evergreen with a candy cane tucked in. I think I got the idea from County Living magazine. 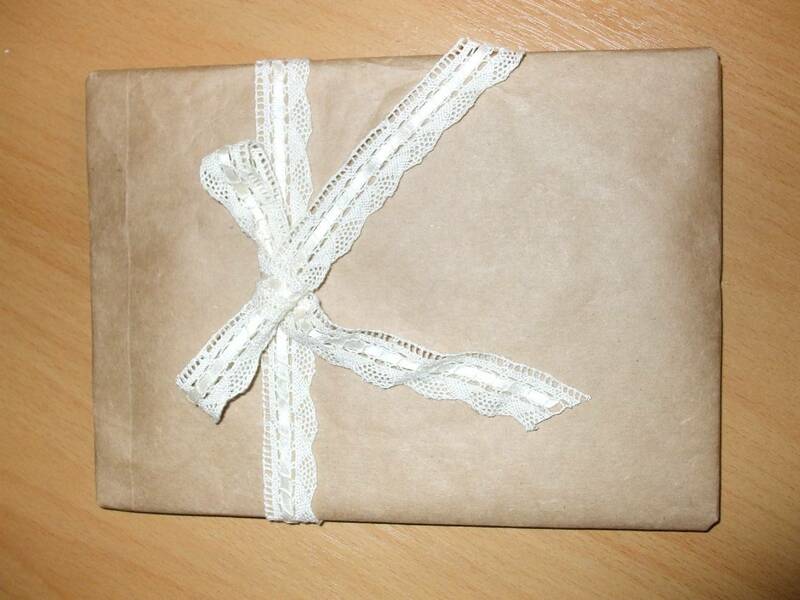 in the states, brown paper is usually called Kraft paper. 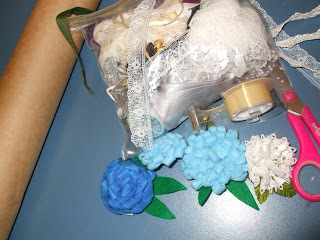 Love your lacy ribbons too. These look fabulous! 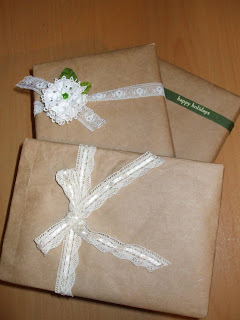 I love that you can customize the Kraft paper for any holiday.